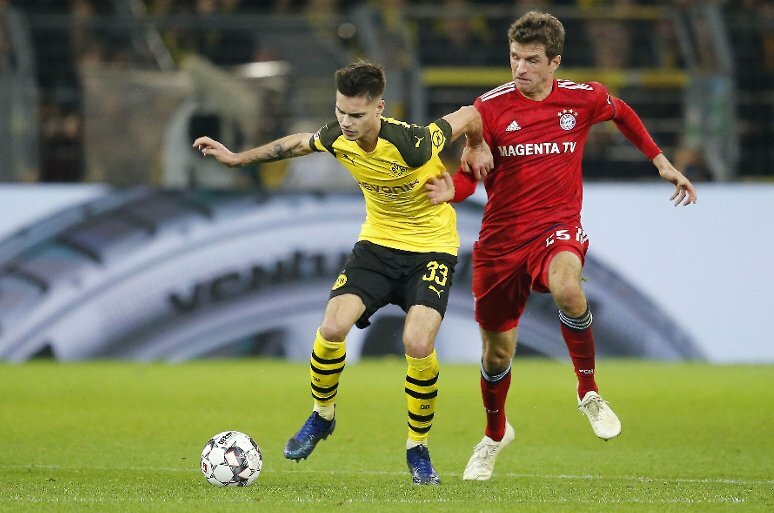 The Premier League giants Arsenal are reportedly planning a January move for Borussia Dortmund midfielder Julian Weigl. Arsenal manager Unai Emery has already bolstered the squad in middle during the summer, with Lucas Torreira and Matteo Guendouzi both arriving at the Emirates Stadium. However, Aaron Ramsey will leave the north London at the end of the current season and Mohamed Elneny is heavily being linked with an exit from the Gunners, which leaves the Premier League outfit in the market for replacements. According to Bild, Arsenal contemplating an approach for Borussia Dortmund’s Julian Weigl with the 23-year-old midfielder having only been used sparingly since August. The Germany international has featured for just 260 minutes in the German and Champions League this term, and it has allegedly resulted in Gunners’ head of recruitment Sven Mislintat placing the player on his wishlist. Weigl still has more than two-and-a-half years left on his existing contract.